At almost 4,000 metres above sea level on the border of Bolivia and Peru lies Lake Titicaca. Lake Titicaca is impressive being both South America's largest lake and the highest navigable lake in the World. A Peruvian Child in colourful clothing plays on one of the floating reed islands on Lake Titicaca. The colourful Uros islands in Puno, Peru. 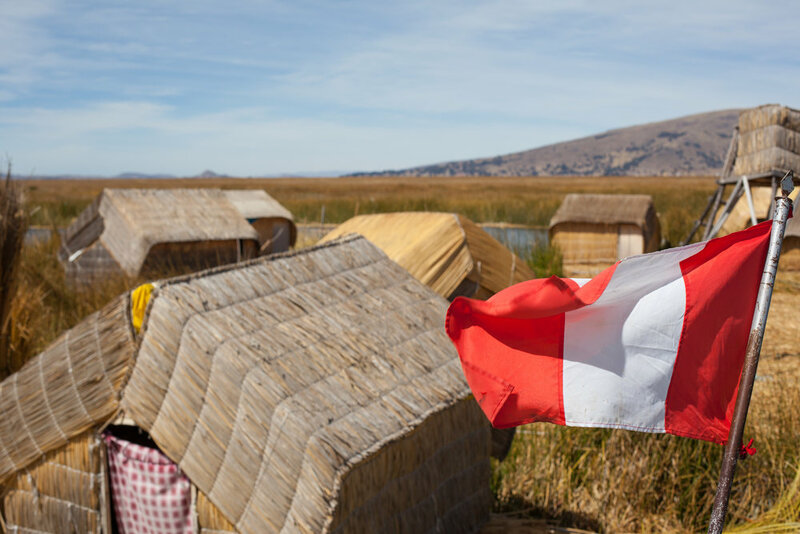 The floating reed islands on Lake Titicaca in Peru. Travel Photography in Peru by Geraint Rowland. 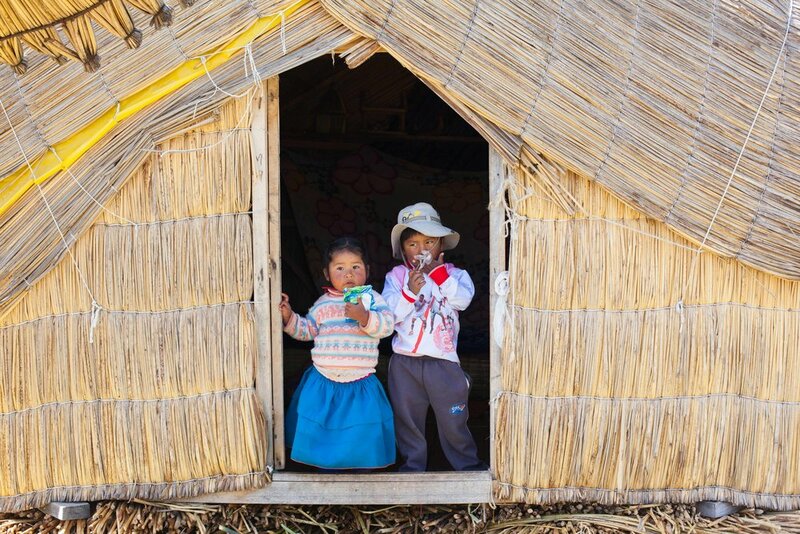 Children living in a reed hut on a island made of reed in Peru. 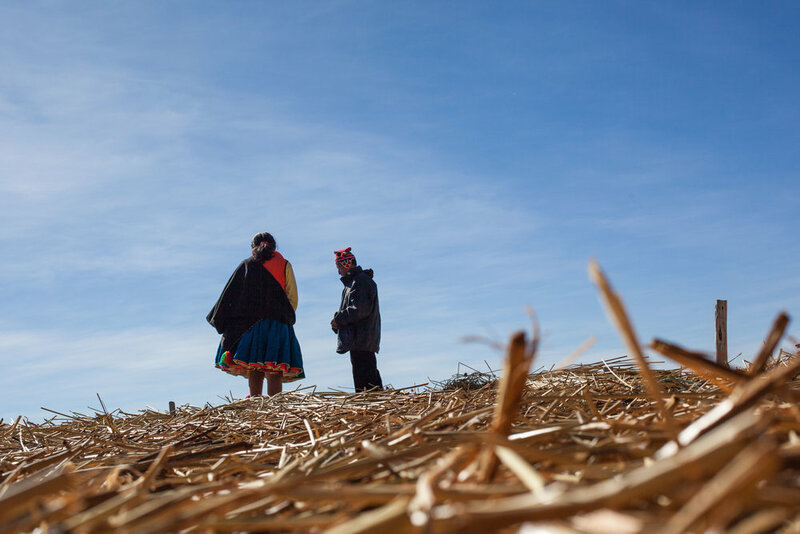 The Uros islands are easy to reach with regular boats leaving throughout the day from Puno. The islands are now firmly on the South American tourist trail, however they are well worth a visit. Lake Titicaca has some of bluest skies I have ever seen and the islanders are amongst the most colourful. I took these images over the course of a few days when I visited the islands last June. Due to the vivid sky and the striking clothing of the locals the imagery is best portrayed in colour. The Uros Islands really are a picture perfect travel destination. More of my travel photography from Peru can be found on my website, my Instagram, and my Flickr account. If you are interested in purchasing any prints, using an image online or would like further information please send me an email at: geraintrowlandphotography@gmail.com.